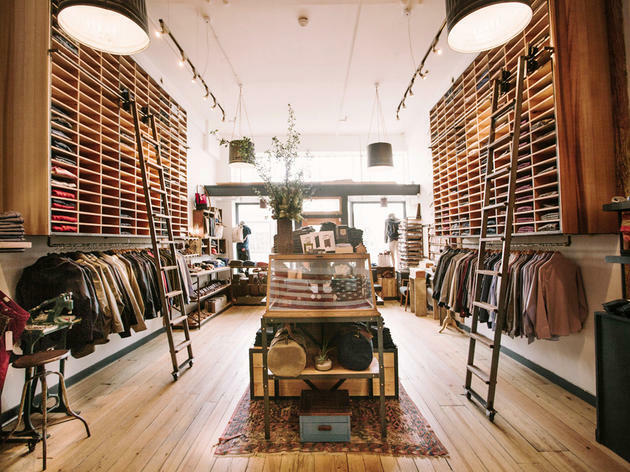 Co-owners Michael Maher, Michael Armenta, and Barrett Purdum set up shop in 2008 focusing on one menswear staple—the button-down shirt—and set out to do it really well. Nowadays, you'll find their brand everywhere from indie stores in Oakland to New York (they did a shirting collab with Banana Republic a few years back), and the trio has made forays into small-batch collections of blazers, trousers, tees and jeans as well. But the small Mission store (which is conveniently situated beside coffee-lover's hangout, Sightglass) still churns out the best new iterations of the basic button-down. 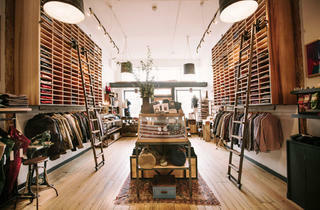 You'll find them in “sun-bleached” Italian denim, chambray cotton, rugged woven canvas, and lightweight gingham. These aren't flashy shirts with contrasting cuffs and dizzying prints: The versatile button-downs stick largely to tried-and-true dots, checks, stripes and solids. The brand's loyal client base may be its one downside: Sizes tend to sell out quick with each new release. Buy in-store, or risk things selling out online.